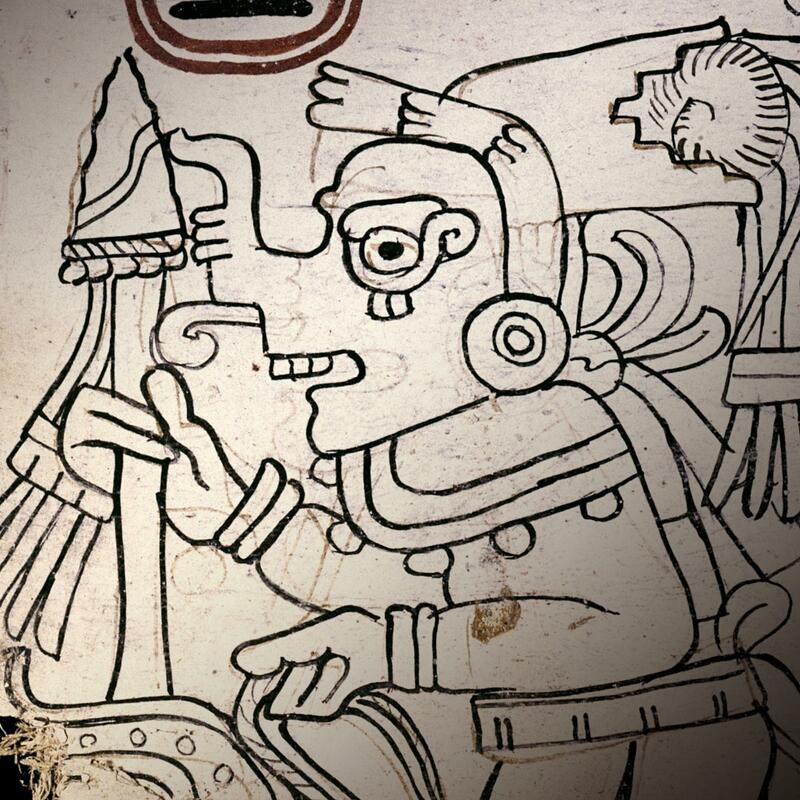 PROVIDENCE, R.I. [Brown University] –The Grolier Codex, an ancient document that is among the rarest books in the world, has been regarded with skepticism since it was reportedly unearthed by looters from a cave in Chiapas, Mexico, in the 1960s. The study, Houston said, "is a confirmation that the manuscript, counter to some claims, is quite real. The manuscript was sitting unremarked in a basement of the National Museum in Mexico City, and its history is cloaked in great drama. It was found in a cave in Mexico, and a wealthy Mexican collector, Josuï¿½ Sï¿½enz, had sent it abroad before its eventual return to the Mexican authorities." Some ridiculed as fantastical Sï¿½enz's account of being contacted about the codex by two looters who took him–in an airplane whose compass was hidden from view by a cloth–to a remote airstrip near Tortuguero, Mexico, to show him their discovery. And there were questions, the authors note, about Sï¿½enz's actions once he possessed the codex. Why did he ship it to the United States, where it was displayed in the spring of 1971 at New York City's Grolier Club, the private club and society of bibliophiles that gives the codex its name, rather than keep it in Mexico? As for the manuscript itself, it differed from authenticated codices in several marked ways, including its relative lack of hieroglyphic text and the prominence of its illustrations. The gods depicted in the codex are described by Houston and his colleagues as "workaday gods, deities who must be invoked for the simplest of life's needs: sun, death, K'awiil — a lordly patron and personified lightning — even as they carry out the demands of the 'star' we call Venus. Dresden and Madrid both elucidate a wide range of Maya gods, but in Grolier, all is stripped down to fundamentals." Created around the time when both Chichen Itza in Yucatï¿½n and Tula fell into decline, the codex was created by a scribe working in "difficult times," wrote Houston and his co-authors. Despite his circumstances, the scribe "expressed aspects of weaponry with roots in the pre-classic era, simplified and captured Toltec elements that would be deployed by later artists of Oaxaca and Central Mexico" and did so in such a manner that "not a single detail fails to ring true."